I think that one reason why Dell was dropped from the Hardware Vendors page on the FSFE Fellowship Wiki was that even though Dell was promoting products with GNU/Linux pre-installed, actually finding them remained a challenge involving navigating through page after page of “Dell recommends Windows Vista/Windows 8/Windows Whatever” before either finding a low-specification and overpriced afterthought of a product or the customer just giving up on the whole idea. Every time they “embrace Linux” I’d like to think that Dell are serious – indeed, Dell manages to support enterprise distributions of GNU/Linux on servers and workstations, so they can be serious, making their antics somewhat suspiciously incompetent at the “home and small office” level – but certainly, the issue of the changing chipset is endemic: I’m pretty sure that a laptop I had to deal with recently didn’t have the advertised chipset, and I tried as hard as possible to select the exact model variant, knowing that vendors switch things out “on the quiet” even for the same model. On that occasion, it was Lenovo playing around. The first thing any major vendor should do to be taken seriously is to guarantee that if they sell a model with a specific model number then it has a precise and unchanging specification and that both the proper model number and the specification are publicly advertised. Only then can we rely on and verify claims of compatibility with our favourite Free Software operating systems. Until then, I can only recommend buying a system from a retailer who will stand by their product and attempt to ensure that it will function correctly with the Free Software of your choice, not only initially but also throughout a decent guarantee period. Please help us maintain the Hardware Vendors page and to support vendors and retailers who support Free Software themselves. The Ben NanoNote is a pocket computer with a 3-inch screen and organiser-style keyboard announced in 2010 as the first in a line of copyleft hardware products under the Qi-Hardware umbrella: an initiative to collaboratively develop open hardware with full support for Free Software. With origins as an existing electronic dictionary product, the Ben NanoNote was customised for use as a general-purpose computing platform and produced in a limited quantity, with plans for successors that sadly did not reach full production. 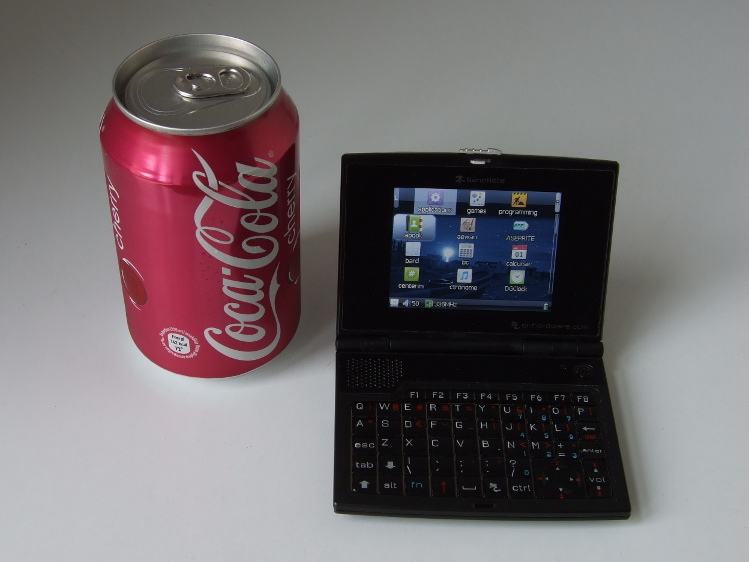 When the Ben (as it is sometimes referred to in short form) first became known to a wider audience, many people focused on those specifications common to most portable devices sold today: the memory and screen size, what kind of networking it has (or doesn’t have). Some people wondered what the attraction was of a device that wasn’t wireless-capable when supposedly cheaper wireless communicator devices could be obtained. Even the wiki page for the Ben has only really prominently promoted the Free Software side of the device, mentioning its potential for making customised end-user experiences, and as an appliance for open content or for music and video playback. Thus, the Universal Breakout Board (UBB) was conceived: a way of “breaking out” or exposing the connections of the microSD port to external devices whilst communicating with those devices in a different way than one would with SD-based cards. 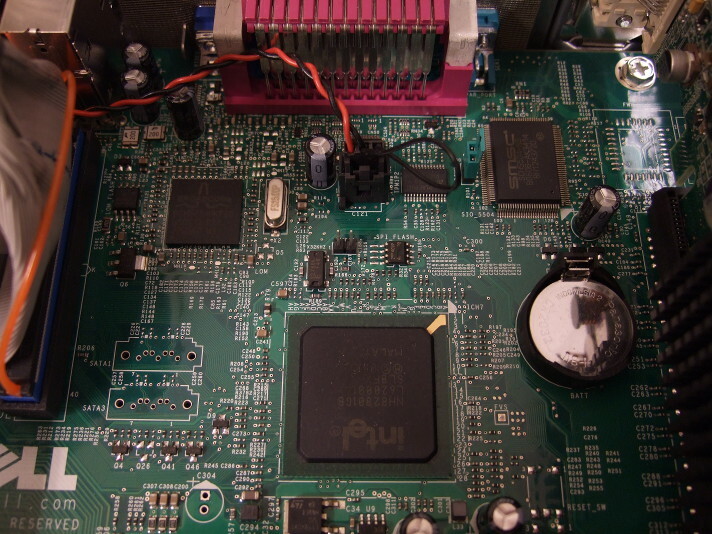 Indeed, the initial impetus for the UBB was to investigate whether the Ben could be interfaced to an Ethernet board and thus provide dependency-free networking (as opposed to using Ethernet-over-USB to a networked host computer or suitably configured router). Sadly, some of those missing SD-related features have an impact on performance and practicality, but that doesn’t stop the UBB from being an interesting avenue of experimentation. To distinguish between SD-related usage and to avoid trademark issues, the microSD port is usually referred to as the 8:10 port in the context of the UBB. A lot of experimentation with computer-controlled electronics is done using microcontroller solutions like those designed and produced by Arduino, whose range of products starts with the modestly specified Arduino Uno with an ATmega328 CPU providing 32K (kilobytes) of flash memory and 2K of “conventional” static RAM (SRAM). Such specifications sound incredibly limiting, and when one considers that many microcomputers in 1983 – thirty years ago – had at least 32K of “conventional” readable and writable memory, albeit not all of it being always available for use on some machines, devices such as the Uno do not seem to represent much of an advance. However, such constraints can also be liberating: programs written to run in such limited space on the “bare metal” (there being no operating system) can be conceptually simple and focus on very specific interfacing tasks. Nevertheless, the platform requires some adjustment, too: data that will not be updated while a program runs on the device must be packed away in the flash memory where it obviously cannot be changed, and data that the device manipulates or collects must be kept within the limits of the precious SRAM, bearing in mind that the program stack may also be taking up space there, too. As a consequence, the Arduino platform benefits from a vibrant market in add-ons that extend the basic boards such as the Uno with useful capabilities that in some way make up for those boards’ deficiencies. For example, there are several “shield” add-on products that provide access to SD cards for “data logging“: essential given that the on-board SRAM is not likely to be able to log much data (and is volatile), and given that the on-board flash memory cannot be rewritten during operation. 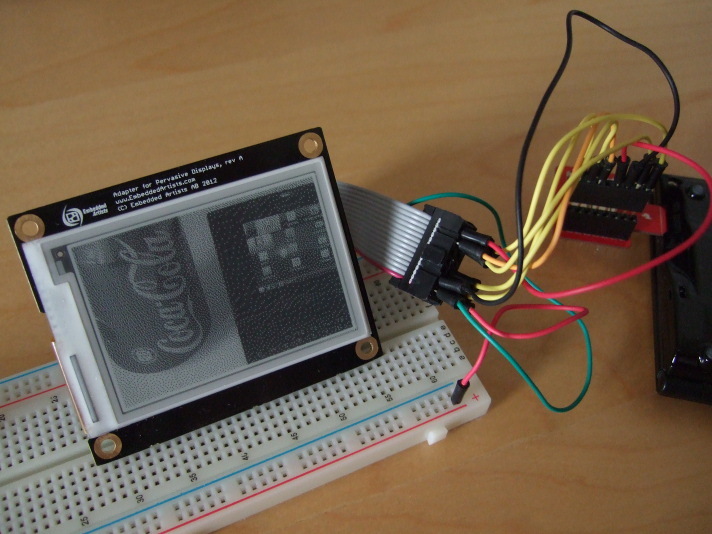 Other add-ons requiring considerable amounts of data also include such additional storage, so that display shields will incorporate storage for bitmaps that might be shown on the display: the Arduino TFT LCD Screen does precisely this by offering a microSD slot. On the one hand, the basic boards offer only what people really need as the foundational component of their projects, but this causes add-on designers to try and remedy the lack of useful core functionality at every turn, putting microSD or SD storage on every shield or extension board just because the user might not have such capabilities already. Having said all this, the Arduino platform generally only makes you pay for what you need, and for many people this is interesting enough that it explains Arduino’s continuing success. Nevertheless, for some activities, the Arduino platform is perhaps too low-level and to build and combine the capabilities one might need for a project – to combine an Arduino board with numerous shields and other extensions – would be troublesome and possibly unsatisfactory. At some point, one might see the need to discard the “form factor” of the Arduino and to use the technological building blocks that comprise the average Arduino board – the microcontroller and other components – in order to make a more integrated, more compact device with the additional capabilities of choice. For instance, if one wanted to make a portable music player with Arduino, one could certainly acquire shields each providing a screen and controls (and microSD slot), headphone socket and audio playback (and microSD slot), and combine them with the basic board, hoping that they are compatible or working round any incompatibilities by adding yet more hardware. And then one would want to consider issues of power, whether using a simple battery-to-power-jack solution would be good enough or whether there should be a rechargeable battery with the necessary power circuit. 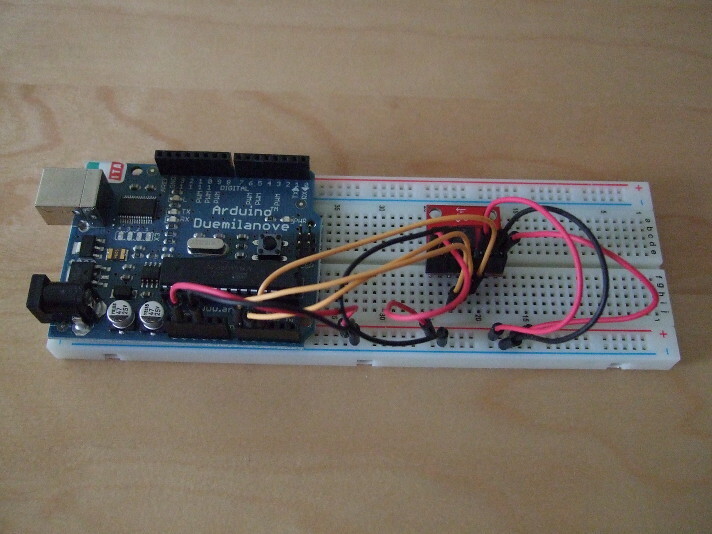 But the result of combining an Arduino with shields would not be as practical as a more optimised device. In contrast to the “bare metal” approach, people have been trying and advocating other approaches in recent times. First of all, it has been realised that many people would prefer the comfort of their normal computing environment, or at least one with many of the capabilities they have come to expect, to a very basic environment that has to be told to run a single, simple program that needs to function correctly or be made to offer some rudimentary support for debugging when deployed. Those who promote solutions like the Raspberry Pi note that it runs a desktop operating system, typically GNU/Linux, and thus offers plenty of facilities for writing programs and running them in pleasant ways. Thus, interfacing with other hardware becomes more interactive and easier to troubleshoot, and it might even permit writing interfacing programs in high-level languages like Python as opposed to low-level languages like C or assembly language. In effect, the more capable platform with its more generous resources, faster processor and a genuine operating system provide opportunities that a microcontroller-based solution just cannot provide. If this was all that were important then we would surely have reached the end of the matter, but there is more to consider. The Raspberry Pi is really a desktop computer replacement: you plug in USB peripherals and a screen and you potentially have a replacement for your existing x86-based personal computer. But it is in many ways only as portable and as mobile as the Arduino, and absolutely less so in its primary configuration. Certainly, people have done some interesting experiments adding miniature keyboards and small screens to the Raspberry Pi, but it starts to look like the situation with the Arduino when trying to build up some capability or other from too low a starting point. Such things are undoubtedly achievements in themselves, and like climbing a mountain or going into space, showing that it could be done is worthy of our approval, but just like those great achievements it would be a shame to go to all that effort without also doing a bit of science in the process, would it not? This is where the Ben enters the picture. 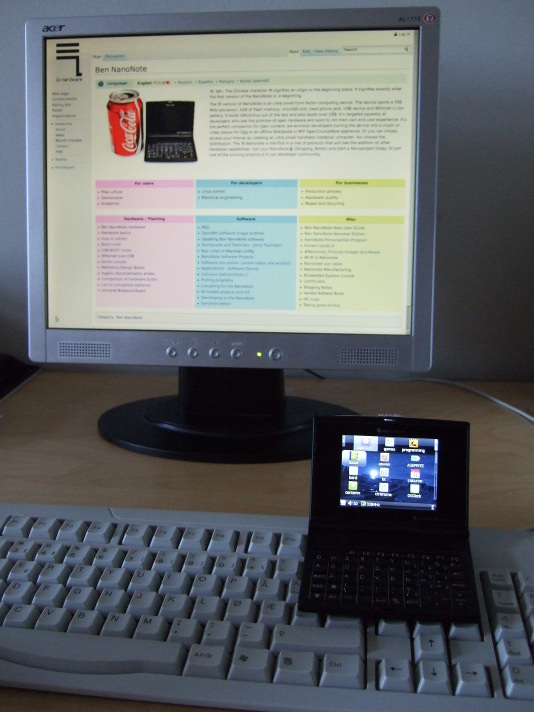 Because it is a pocket computer with a built-in screen and battery (and keyboard), you can perform various mobile experiments without having to gear up to be mobile in the first place. Perhaps most of the time, it may well be sitting on your desk next to a desktop computer and being remotely accessed using a secure shell connection via Ethernet-over-USB, acting as a mere accessory for experimentation. An example of this is a little project where I connected an e-paper screen to the Ben to see how hard it would be to make that screen useful. Of course, I could also take this solution “on the road” if I wanted, and it would be largely independent of any other computing infrastructure, although I will admit to not having run native compilers on the Ben myself – everything I have compiled has actually been cross-compiled using the OpenWrt toolchain targeting the Ben – but it should be possible to develop on the road, too. 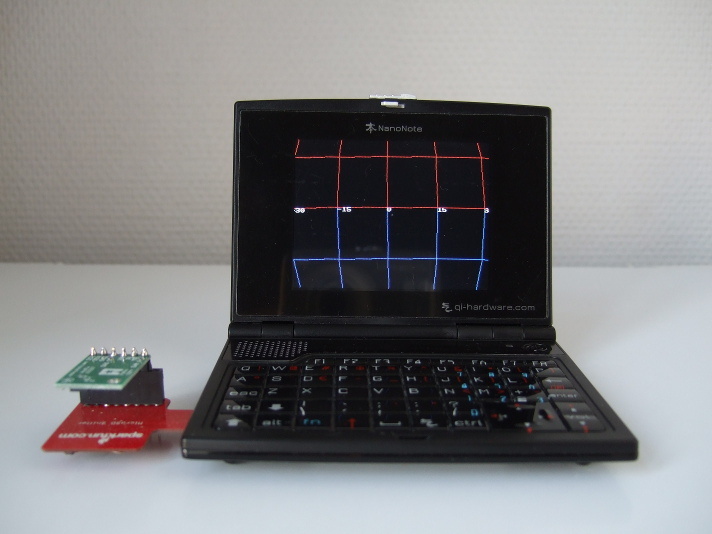 But for truly mobile experimentation, where having an untethered device is part of the experiment, the Ben offers something that the Raspberry Pi and various single-board computer solutions do not: visualisation on the move. 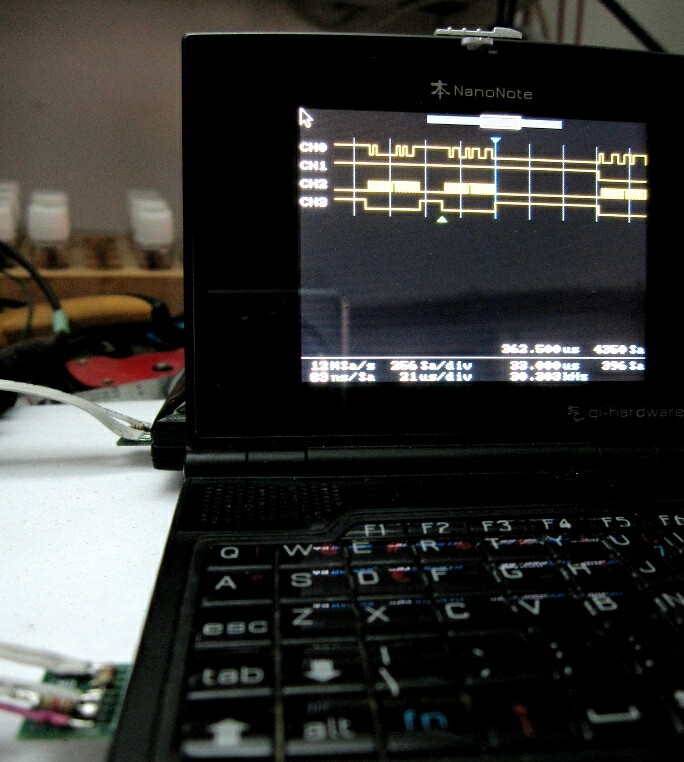 One interesting project that pioneered this is the UBB-LA (UBB Logic Analyzer) which accepts signals via the Ben’s 8:10 port and displays a time-limited capture of signal data on the screen. One area that has interested me for a while has been that of orientation and motion sensor data, with the use of gyroscopes and accelerometers to determine the orientation and motion of devices. Since there are many “breakout boards” (small boards providing convenient access to components) offering these kinds of sensors, and since the communication with these sensors is within the constraints of the 8:10 port bandwidth, it became attractive to use the Ben to prototype some software for applications which might use such data, and the Ben’s screen provides a useful way of visualising the interpretation of the data by the software. Thus, another project was conceived that hopefully provides the basis for more sophisticated experiments into navigation, interaction and perhaps even things like measurement. Of course, sensor applications are becoming commonplace due to the inclusion of gyroscopes, accelerometers, magnetometers and barometers into smartphones. Indeed, this was realised within the open hardware community several years ago with the production of the Openmoko Freerunner Navigation Board that featured such sensors and additional interfacing components. Augmented reality applications and fancy compass visualisations are becoming standard features on smartphones, complementing navigation data from GPS and comparable satellite navigation systems, and the major smartphone software vendors provide APIs to access such components. Indeed, many of the components used in smartphones feature on the breakout boards mentioned above, unsurprisingly, because their cost has been driven down and made them available and affordable for a wider range of applications. So what makes the Ben NanoNote interesting when you could just buy a smartphone and code against, say, the Android API? Well, as many people familiar with software and hardware freedom will already know, being able to use an API is perhaps only enough if you never intend to improve the software providing that API, or share that software and any improvements you make to it with others, and if you never want to know what the code is really doing, anyway. Furthermore, you may not be able to change or upgrade that software or to deploy your own software on a smartphone you have bought, despite vigorous efforts to make this your right. Even if you think that the software providers have done a good job interpreting the sensor data and translating it into something usable that a smartphone application might use, and this is not a trivial achievement by any means, you may also want to try and understand how the device interacts with the sensors at a lower level. It is rather likely that an Android smartphone, for example, will communicate with an accelerometer using a kernel module that resides in the upstream Linux kernel source code, and you could certainly take a look at that code, but as thirty years of campaigning for software freedom has shown, taking a look is not as good as improving, sharing and deploying that code yourself. Certainly, you could “root” your smartphone and install an alternative operating system that gives you the ability to develop and deploy kernel modules and even user-space code – normal programs – that access the different sensors, but you take your chances doing so. Meanwhile, the Ben encourages experimentation by letting you re-flash the bootloader and operating system image, and you can build your own kernel and root filesystem populated with programs of your choice, all of it being Free Software and doing so using only Free Software. Things that still surprise people with modified smartphone images like being able to log in and get a secure shell session and to run “normal Linux programs” are the very essence of the Ben. It may not have wireless or cellular networking as standard – a much discussed topic that can be solved in different ways – but that can only be good news for the battery life. “What would I use it for?” That might have been my first reaction to the Ben when I first heard about it. I don’t buy many gadgets – my mobile telephone is almost ten years old – and I always try to justify gadget purchases, perhaps because growing up in an age where things like microcomputers were appearing but were hardly impulse purchases, one learns how long-lived technology products can be when they are made to last and made to a high quality: their usefulness does not cease merely because a new product has become available. Having used the Ben, it is clear that although its perceived origins as some kind of dictionary, personal organiser or music player are worthy in themselves, it just happens to offer some fun as a platform for hardware experimentation. I regard the Ben as something of a classic. It might not have a keyboard that would appeal to those who bought Psion organiser products at the zenith of that company’s influence, and its 320×240 screen seems low resolution in the age of large screen laptops and tablets with “retina” displays, but it represents something that transcends specifications and yet manages to distract people when they see one. Sadly, it seems likely that remaining stocks will eventually be depleted and that opportunities to acquire a new one will therefore cease. Plans for direct successors of the Ben never really worked out, although somewhat related products do exist: the GCW-Zero uses an Ingenic SoC just like the Ben does, and software development for both devices engages a common community in many respects, but the form factor is obviously different. The Pandora has a similar form factor and has a higher specification but also has a higher price, but it is apparently not open hardware. The Neo900, if it comes to pass (and it hopefully will), may offer a good combination of Free Software and open hardware, but it will understandably not come cheap. One day, well-funded organisations may recognise and reward the efforts of the open hardware pioneers. Imitating aspirational product demonstrations and trying to get in on the existing action is all very well, not to mention going your own way, but getting involved in the open hardware communities and helping them to build new things would benefit everybody. I can only hope that such organisations come to their senses soon so that more people can have the opportunity to play with sensors, robotics and all the other areas of hardware experimentation, and that a healthy diversity of platforms may be sustained to encourage such experimentation long into the future. HowTo improve Debian packages using OBS describes the documented packaging-related process in more detail for a specific improvement. A Call for Participation invites those interested in Debian packaging to get involved. Packaging for Debian can be a challenge. My own experience involved a pure-Python tool and still required lots of iterations to satisfy the Debian gatekeepers; this is understandable given that they try to virtually guarantee a coherent experience and provide a large selection of software whose copyright and licensing status must be clear, acceptable and without nasty surprises. I respect the effort that has gone into Kolab packaging for Debian already: without that effort, I probably wouldn’t even have tried the software. The plan now must surely involve input from the Debian groupware initiative, especially as the Kolab architecture presumably resembles some of the other packaged solutions, and those who have contributed to the existing packaging work, as well as some discussion on the Kolab development mailing list, and some effort with the Open Build Service tools (with the “build commander” tool fortunately being available as a Debian package). It is unfortunate that as Torsten points out, “Currently, there’s only one volunteer working on the Debian packages in his limited spare time, but hundreds of people who want to use reliable Debian packages.” Meanwhile, Timotheus points out, “Since there seems to be no corporate funding available for the Debian packages, we all need to pull together as a community and get it done!” It seems to me that those organisations that stand to benefit from more adoption of Free Software groupware, especially those using Debian as their foundation, might do well to assist this work instead of waiting for people to get it done in their free time. Hugo Roy has been trying to install Kolab and not getting on particularly well with it. His experiences persuaded me to take another look at my Kolab installation done back in June, and to my surprise it didn’t seem to work any more. I eventually discovered some things that will probably need fixing in the packaging, and these are mentioned below. I suppose I’ll try and pursue these with the developers and packagers. The LDAP server (provided by the 389-ds suite of packages, but actually started when the ns-slapd program is run, and known as the dirsrv service – yes, all very confusing stuff) doesn’t want to run until the permissions are fixed on the /var/run/dirsrv and /var/lock/dirsrv directories so that the ns-slapd program can create pid and lock files. Restarting the kolab-saslauthd service fixes this; maybe restarting the cyrus-imapd service also helps. Restarting the kolab-server service should apparently synchronise the constituent services, but I’m not sure it helps if you get the above Python error. You may also see an LDAP-related error which just appears to be the same program or a related one getting even more upset about the LDAP server. Also, if you don’t update for a while, the clamav-freshclam service uses a lot of CPU and bandwidth performing updates. Such stuff needs turning off if you value your computer’s interactivity, in my experience.